The Chevrolet Camaro is a two-door coupe or convertible pitted against the Ford Mustang in an annual dogfight. It also competes with the Dodge Challenger, all three are locked in a long-running feud for the attention and dollars of fanboys across the world. The Camaro's classic formula hasn't changed: business in the front, party in the back. Wait, that's "Camaro hair." The Camaro's automotive formula is power up front, driven wheels in the back—performance and style come first. A new Camaro was introduced for 2016. 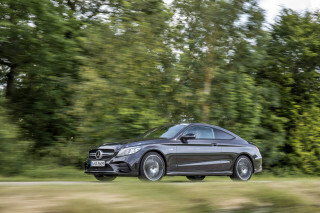 The lineup includes a turbo-4, as well as V-6 and V-8 models, in both coupe and convertible form. 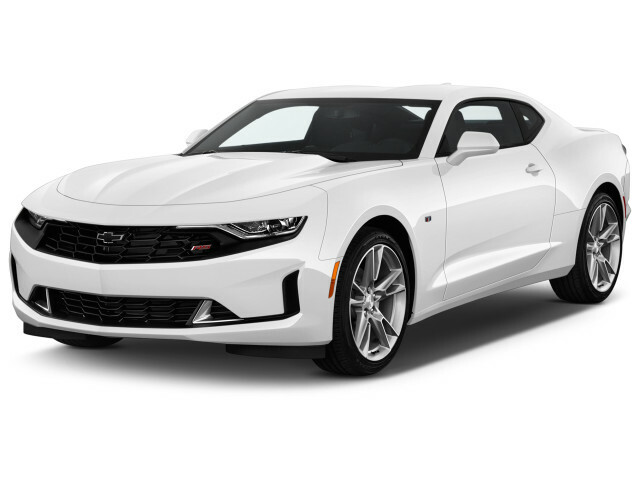 The latest Chevy Camaro rides on GM's Alpha rear-drive architecture, shared with the Cadillac CTS sedan and formerly, with the ATS coupe and sedan. The new Camaro is significantly lighter and smaller than its predecessor, which gives it a more nimble feel and improved fuel economy. Styling is reminiscent of the last-generation model with fewer sharp creases and a tidier overall package, as well as a much more attractive cockpit, albeit one with a smaller back seat. 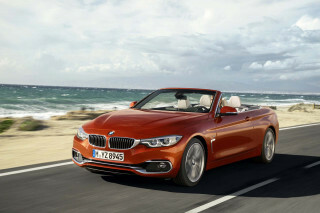 Coupe and convertible body styles are offered with a choice of four powerplants. They include a 275-horsepower, 2.0-liter turbo-4; a 335-hp, 3.6-liter V-6; a 455-hp, 6.2-liter LT1 V-8; and a 650-horsepower supercharged 6.2-liter LT4 V-8. With each of these engines, there’s a choice between a 6-speed manual gearbox or an automatic transmission. The LT4 and for 2019 the LT1 come with a 10-speed automatic, while the others get an 8-speed auto. For the turbo-4, GM estimates a 5.4-second 0 to 60 mph time. That drops to 5.0 seconds with the V-6. With the V-8-powered SS, it's pegged at 4.0 seconds. The ZL1 is even quicker at just 3.5 seconds. Inside, the sixth-generation Camaro has good front seat room, but a very tight rear seat. Chevy offers 7.0- and 8.0-inch versions of its MyLink infotainment system, both with Apple CarPlay and Android Auto. The infotainment system is updated for 2019 to be more intuitive and to use cloud date to improve the navigation system and to help personalize the system. The Chevrolet Camaro SS was named Motor Authority's Best Car To Buy 2016, over rivals like the Ford Shelby GT350 Mustang. For 2017, Chevy added the supercharged, 650-horsepower V-8 Camaro ZL1 for both the coupe and the convertible. Also new were the 1LE handling package, a 50th Anniversary Edition package, a “FIFTY” badge on the steering wheel of all models, and a Teen Driver feature that allows parents to set controls and review driving habits. For 2018, Chevrolet added the ZL1 1LE package with spool-valve dampers, adjustable suspension, aggressive aerodynamics, and Goodyear Eagle F1 Supercar 3R summer-only tires. The car turned in a blistering 7:16 lap time on the Nürburgring Nordschiefe. In addition to the greater availability of the 10-speed automatic and the updated infotainment system, the 2019 Camaro gets an updated look front and rear for all but the ZL1 available forward-collision warnings (but without automatic emergency braking), and an available rear camera mirror. The 1LE package also becomes available with the turbo-4. Introduced in 1967 as a response to the stunning success of the Ford Mustang, the Camaro has had its ups and downs in its 50 years on the car scene. Paired until the early 2000s with a companion Pontiac Firebird, the Camaro has been offered in six different generations as a two-door sports coupe, with V-6 or V-8 power and rear-wheel drive. Special editions have included the Camaro RS, Camaro SS, and Camaro IROC-Z, and convertible and T-top body styles. Until 2002, GM had built the Camaro in each model year for 35 consecutive years, but GM decided to kill the muscle car in 2002, ending production of the then-composite-bodied Camaro in Canada. The Camaro nameplate wasn't revived until the 2010 model year, when the car was relaunched as a coupe. It retained the same basic setup—a choice of V-6 or V-8 engines, manual or automatic transmissions, and rear-wheel drive—but was somewhat larger than the car that preceded it. 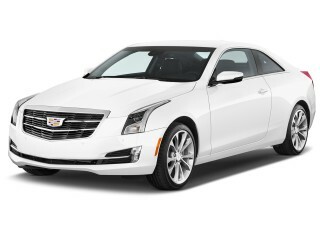 It used a rear-drive architecture that was originally planned for use throughout GM, including in Buick and Cadillac luxury vehicles, but only found a home under the Pontiac G8, a handful of Holdens, the Chevy Caprice fleet vehicle, and Chevy's SS sedan. GM built this Camaro at its factory in Oshawa, Ontario, Canada. The fifth-generation Camaro took its cues from classic 1960s models. The homage pieces included vent-like indents in front of the rear wheels and the brow over the headlights. The interior of the Camaro used square gauges and additional meters at the base of the center stack, as well as a deep-dish steering wheel that recalled the 1967 model. Base editions of the fifth-generation Camaro got a 323-hp, 3.6-liter V-6 used in other GM cars, coupled to 6-speed manual or automatic gearboxes. The Camaro SS borrowed the previous-generation Corvette's 6.2-liter V-8, offering it in two detuned strengths—a 400-hp version with a 6-speed automatic, and a 426-hp variant teamed to the 6-speed manual. Convertible versions were available for both the SS and V-6 models. New for 2012 was the ZL1, a 580-hp beast that rode on magnetic dampers and bore an even fiercer look than the SS. 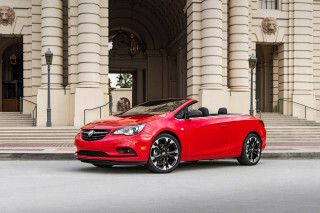 It was joined in the 2013 model year by a convertible edition. Older Camaros have been derided for clunky handling from live-axle rear ends; the fifth-generation Camaro rode on an independent rear suspension and simply drove better, smoother, and with less twitchiness than ever before. That was even more the case with the SS and with its 1LE package, which received tires sized identically front to back, stiffer anti-roll bars, and other suspension revisions to give it neutral, track-ready handling. This Camaro even offered a special Hot Wheels edition for the nostalgic collector. An updated 2014 Camaro brought slightly redefined looks, including a rather significant visual re-working of the front end, with a narrower headlight and grille opening adding a dose of aggression. (ZL1 models kept the older front end for better cooling.) The 2014 Camaro also saw the return of the famous Z/28 model—in a more fiercely track-inspired form than ever. The 2015 Camaro carried forward 2014's updates essentially unchanged. Chevy offered several special editions, including the Green Flash and Commemorative Edition models, which played with the aesthetics and added various options to create new packages. This is the best High Performance Vehicle I have ever owned bar none ! During the last 40 years I have had many High Performance cars, race quite a few of them on Tracks like Watkins Glen, Limerock, Pocono Raceway just to name a few. After owning the following cars 1965 Pontiac... During the last 40 years I have had many High Performance cars, race quite a few of them on Tracks like Watkins Glen, Limerock, Pocono Raceway just to name a few. 2003 Audi S4, 2008 BMW 550i M Sport, 2011 BMW M3 CV, 2017 Camaro SS simply the best out of all the vehicles I have ever owned, the best part is that I'm not overpaying like I'm usually accustomed with German Cars.